Not to be confused with tech demos, which are rarely intended to be turned into commercial products, or pre-release and unused content, elements from a game that are removed or altered before release. Due to various reasons (ranging from being of poor quality, developing a game for a failed or soon-to-be-discontinued system, or the company facing financial or legal woes), a project can end up being canceled and cease production. Despite their status, concepts present in canceled games and other media can be reused in commercial releases, and some canceled games are repurposed into different projects. A game in development can also end up becoming vaporware, a term for projects that are announced and for which development is started, but for similar reasons, were never published. The following is a list of Mario media that has been canceled, or was never produced or released. Nintendo Entertainment System Return of Donkey Kong A follow-up to Donkey Kong, canceled for unknown reasons. Donkey Kong no Ongaku Asobi A music-based spin-off of Donkey Kong, also canceled for unknown reasons. Philips CD-i Mario Takes America Canceled due to financial issues caused by Philips being unsatisfied by the development's progress. Attempts to rework the title into a Sonic the Hedgehog game and even later with original characters fell through, and developer Cigam went bankrupt in 1994. Super Mario's Wacky Worlds A successor to Super Mario World, canceled due to the CD-i's drop-in popularity, as well as development requiring a higher budget. Three official prototype discs are in circulation. Virtual Boy VB Mario Land A sequel to Super Mario Land 2: 6 Golden Coins, otherwise known as Mario Adventure; scrapped in favor of expanding the Mario Bros.-esque mini-game and releasing it as Mario Clash. Donkey Kong Country 2 Preliminary work on a Donkey Kong Country sequel for the Virtual Boy. The project only got as far as designing the title screen before it was canceled due to the discontinuation of the Virtual Boy for its poor sales. A full-fledged sequel, Donkey Kong Country 2: Diddy's Kong Quest, was later released for the SNES. Nintendo 64 Yoshi Racing A 3D platformer starring Yoshi that was pitched by Argonaut Games to Nintendo but was rejected. Argonaut reworked the game into Croc: Legend of the Gobbos, released for PlayStation, Sega Saturn, Windows, and Game Boy Color. Super Mario 64 allegedly resembles its original design. Nintendo 64DD Mario Artist series Of the Mario Artist series, only Paint Studio, Talent Studio, Communication Kit and Polygon Studio were released; Game Maker, Graphical Message Maker, Sound Maker (originally part of Paint Studio) and Video Jockey Maker were canceled, likely due to the 64DD's late release and commercial failure. A different iteration of Paint Studio was in development by Software Creations, but it was canceled due internal politics between Nintendo of America and Nintendo's headquarters in Japan over control of the project. Super Mario 64 2 A sequel to Super Mario 64, abandoned due to a lack of progress and the 64DD's late release and commercial failure. Certain aspects were carried over to Super Mario Sunshine and Super Mario 64 DS. May be related to Super Mario 64 Disk Version, a similarly-unreleased working port of the previous game demoed at Nintendo Space World 1996. Mario Paint 64 A follow-up to Mario Paint. It allowed for many processes while playing, and used a controller different from the original SNES Mouse. Super Mario RPG 2 A sequel to Super Mario RPG: Legend of the Seven Stars, otherwise known as Mario RPG 2 and Super Mario Adventure while in development. Due to complications involving Square, it was reworked into Paper Mario and was released as a standard Nintendo 64 title. Game Boy Advance Diddy Kong Pilot A follow-up to Diddy Kong Racing, featuring planes as the only vehicle. It was unfinished before Rare was bought by Microsoft in 2002 and Nintendo did not approve of the concept. The game was reworked into Banjo-Pilot and released for the Game Boy Advance. Donkey Kong Coconut Crackers A puzzle game starring Donkey Kong that was unfinished before Microsoft purchased Rare. It was reworked into It's Mr. Pants, also released for Game Boy Advance. Donkey Kong Plus A remake of the Game Boy Donkey Kong shown at E3 2002 as a proof-of-concept for connectivity between Game Boy Advance and Nintendo GameCube systems; its intended system is unclear, however. Presumably canceled in favor of or otherwise became Mario vs. Donkey Kong, an original game based on the classic Donkey Kong gameplay. Donkey Kong Racing Another follow-up to Diddy Kong Racing that was unfinished before Rare was bought by Microsoft. It was reworked into Sabreman Stampede for the Xbox 360; unlike the aforementioned games, however, this iteration of the title was unofficially canceled. 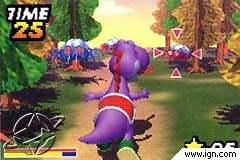 Yoshi Touch & Go Was later reworked into a Nintendo DS title with the same name. Diddy Kong Racing Adventure A pitched sequel to Diddy Kong Racing being developed by Climax. It was never announced to the public in any capacity and only became known after an amateur video game archivist acquired the prototype and published a video about it in November 2016. DK Bongo Blast A Donkey Kong racing game that would have used the DK Bongos. Was reworked for the Wii as Donkey Kong Barrel Blast, replacing the bongo controls with motion controls. Super Paper Mario At one point, the game was considered for release on both the Nintendo GameCube and Wii, but it was ultimately pushed to the Wii exclusively. Wii Super Mario Spikers A volleyball-wrestling hybrid game being developed by Next Level Games, canceled in favor of Punch-Out!! due to aspects of the game clashing with Nintendo's code of honor. This section lists rejected pitches (meaning ideas proposed internally or to Nintendo without seriously going into production) and canceled projects that have too little information to warrant their own page. 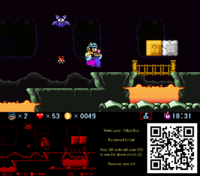 On December 15, 2013, independent developers Jools Watsham of Renegade Kid posted a mockup of a colorized version of Virtual Boy Wario Land for the Nintendo 3DS. In a 2016 episode of IGN's NYC podcast, Watsham revealed that he had made a formal pitch to Nintendo to make colorized versions of Virtual Boy Wario Land and Nintendo's other Virtual Boy games for the 3DS, but the pitch was rejected for unknown reasons. He speculated this was because Nintendo didn't want to remind people of the Virtual Boy. Comic book publisher Archie Comics (which has published other comics based on famous video game properties including Sonic the Hedgehog and Mega Man) pitched a Super Mario comic book series to Nintendo, but it was rejected., as confirmed by writer Ian Flynn. The concept art for the pitch was drawn by Archie artists Tracy Yardley and Ben Bates. Sometime during the late '90s, Boss Game Studios pitched a Mario game to Nintendo of America. The only known proof of its existence is a storyboard, drawn by Patrick Michael Clark, bought in an online auction showing Mario stepping on a wooden plank, following by the wooden plank sprouting legs and walking in Mario's direction. According to a Boss Game Studios employee, "The Mario thing I think was for a proposal. I’m not sure if we were trying to get the license from Nintendo to produce a Mario game, or if they approached us to do one. Either way, I think it died on the vine after they saw the concept art"
A Donkey Kong game was in development for the Philips CD-i. The only known report of it is the LinkedIn resume of programmer Adrian Jackson-Jones, which states the game was in development during the 1992-1993 period at RSP. Jackson-Jones "designed and implemented the game engine" for the project. Jackson claims he worked on the game alongside programmer Owen Flatley and that he has no surviving assets left of the game. According to Rare employee Paul Rahme, it was internally suggested at Rare to make a new Donkey Kong Country game for the Nintendo DS, as remaking the trilogy for the Game Boy Advance gave the developers experience and a good basis for making a sequel. The pitch ended up not getting much traction internally and was dropped. In 1983, before creating the game show Catchphrase and producing Hotel Mario, entertainment producer Steve Radosh was involved in developing an arcade game starring Donkey Kong as a parking attendant for Sega, as the company had rights to the property at the time. The game was canceled when Gulf and Western Industries, the American conglomerate which at the time was Paramount Pictures' corporate parent, sold its ownership of Sega's U.S. assets to pinball machine maker Bally Manufacturing. Mario Motors was a pitch made by game designer Yoot Saito for a Nintendo DS game. The game had players "shaving and sculpting out of a chunk of metal to make a cylinder [which then] decides the ability of your engines.". Saito also considered having the player blow in the DS's microphone to "learn how acceleration works" but scrapped it because the mechanic could have been too demanding for children. Despite initial interest from both Satoru Iwata and Shigeru Miyamoto, the project never got off the ground with Saito stating "I can’t tell you why, but please guess.". In 2010, Ubisoft Paris had explored proposing a crossover between the Mario franchise and its own Rabbids franchise . The game was conceptualized as a "subversive, self-aware take" on the Mario franchise and concept art was produced depicting Rabbids kidnapping Bowser as Mario chased them. According to an anonymous Ubisoft employee, the pitch was possibly rejected by Nintendo before it was formally shown. According to Ubisoft employee Davide Soliani, this attempt is unrelated to Mario + Rabbids Kingdom Battle. Mario's Castle was a game announced for the canceled "Project Atlantis" portable system. The only known report of it was in an issue of the gaming magazine Electronic Gaming Monthly. Internal emails leaked to the public by proxy of the 2014 Sony Pictures hack detailed negotiations between Avi Arad and Nintendo to have Sony Pictures produce a Mario movie. The email exchange between Avi Arad and Sony Pictures executive Amy Pascal showed photos of Arad meeting with Shigeru Miyamoto and Satoru Iwata; Pascal would later forward one of the emails to another executive with the comment "Avi closed Mario brothers" (Arad would later state to the press the deal had in fact not been closed after the emails were made public by the hack). Although no information beyond what is found in the leaked emails was made public, it seems the talks broke down as Nintendo would officially announce in 2018 that a Mario film would be produced by Illumination Entertainment, an animation company owned by Sony Pictures' rival Universal Studios best known for the Despicable Me franchise. According to Elon Musk, a Mario Kart game that would be played on Tesla vehicles was proposed to Nintendo. Nintendo did not give them a license. 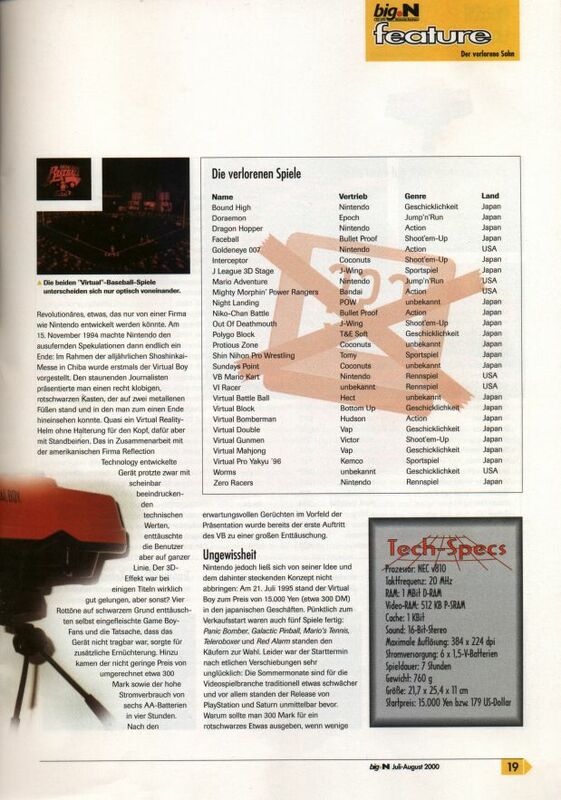 The German magazine Big N claimed that a Virtual Boy installment of the Mario Kart series, tentatively named VB Mario Kart, was in development. The only known media report of it is Big N's August 2000 issue, which listed it among various other canceled Virtual Boy projects. IGN Pocket posted a screenshot of a presumed tech demo featuring a Purple Yoshi in a forest in a behind-the-back perspective as blue and red spider-like robots resembling severed segments of Mechawiggler attacked him. No other information about this alleged tech demo arose, however. In 1986, small subsidiary developer Orpheus Software planned a short, one-level demo of Super Mario Bros. for the Commodore 64 and attempted to pitch it to Nintendo for an official release, with Nintendo later rejecting the project. A Lemon64 thread from 2005 claims that user NYCeguy24 may have owned a copy, but this is likely speculation. ↑ Monokoma. (September 15, 2014). Mario Takes America [CDI – Canceled]. Unseen64. Retrieved May 18, 2015. ↑ Monokoma. (April 4 2008). Creator / Mario Artist [64DD – Beta / Canceled]. Unseen64. Retrieved May 18, 2015. ↑ Miyamoto Reveals Secrets: Fire Emblem, Mario Paint 64. (July 29, 1997). IGN. Retrieved May 18, 2015. ↑ Diddy Kong Pilot [GBA – Beta / Canceled]. (April 7, 2008). Unseen64. Retrieved May 18, 2015. ↑ Donkey Kong Coconut Crackers [GBA – Canceled] (It’s Mr. Pants [GBA – Beta]). (April 7, 2008). Unseen64. Retrieved May 18, 2015. ↑ Donkey Kong Plus [GBA – Canceled]. (April 8, 2008). Unseen64. Retrieved May 18, 2015. ↑ Donkey Kong Racing [GameCube – Canceled]. (April 8, 2008). Unseen64. Retrieved May 18, 2015. ↑ Donkey Kong Bongo Blast [GC – Unreleased]. (April 9, 2008). Unseen64. Retrieved May 18, 2015. ↑ Wii Preview: Super Paper Mario. NGamer Magazine (January 5, 2007). Retrieved July 17, 2016. ↑ Super Paper Mario [GC – Canceled]. (April 9, 2008). Unseen64. Retrieved May 18, 2015. ↑ Tamaki. (August 6, 2011). Super Mario Spikers [Wii – Canceled]. Unseen64. Retrieved May 18, 2015. ↑ RSP say they worked on Donkey Kong on CD-i. Interactive Dreams (December 13, 2010). Retrieved August 9, 2011. ↑ DK Vine: Donkey Kong Country 4: Here Comes [REDACTED PUN]! ↑ Hilliard, Kyle (December 29, 2016). Meet The Man Who Put Mario And Zelda On The Philips CD-i. Game Informer. Retrieved January 06, 2017. ↑ Liz Lanier (November 30 2018). Elon Musk Claims Nintendo Wouldn’t License ‘Mario Kart’ for Teslas. Variety. Retrieved March 25, 2019. ↑ The Mystery of the Purple Yoshi Tech Demo (Game Boy Advance, 2000). YouTube. Retrieved February 18, 2018. This page was last edited on March 25, 2019, at 17:46.